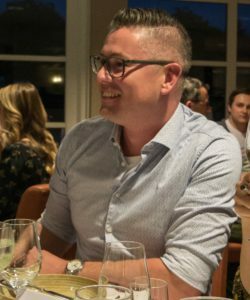 Meeting Guido X Jansen – Cognitive Psychologist, Customer Optimization Manager, Magento Master, Podcast Host and International Speaker. For the 10th episode of “Digital Explained to my Mom” I have met Guido X Jansen. 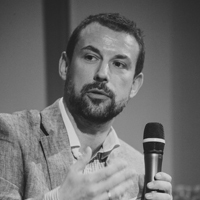 Guido has a very interesting profile: Cognitive Psychologist, Customer Optimization Manager, Magento Master, Podcast Host and International Speaker. He works as customer optimization manager / innovator / facilitator for global brands (such as Randstad, Bol.com, T-Mobile, KPN to name a few). He teaches and coaches worldwide CRO teams improving their digital optimization processes. Guido started in digital during his studies when he started to build websites for people. Over time, he managed to combine his passion for digital and psychology. One of Guido’s key ideas is that the Internet is providing wealth of behavorial data. Analytics software on websites are great at providing insights on WHAT people do online but not why they are doing is. Or even why people are not doing something. Understanding why is really key to make sure you are doing the right thing (or not doing anything), instead of copying what your competitor is doing. A good example is the usage of “social proof”. Studies have shown that Social Proof work best for socially accepted behaviors (signing up for a mortgage vs taking a loan to get your car fixed). The conversion touched many topics such as: how he leverages his psychology degree in the digital world? how ethics plays a role in business (for products like mortgages where banks actually sell debt)? what does agile mean? And most importantly, how proud is Guido’s mom that he is doing something with his degree. I hope you will enjoy listening to the interview as much as I enjoyed doing it. 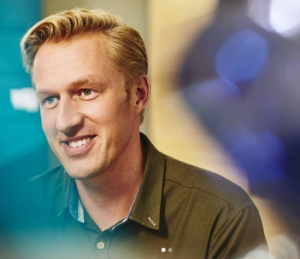 Posted on April 8, 2019 April 7, 2019 Leave a comment on Meeting Guido X Jansen – Cognitive Psychologist, Customer Optimization Manager, Magento Master, Podcast Host and International Speaker. For the 9th episode of “Digital Explained to my Mom” I met Nicolas van Eeckhout, co-founder and CEO of Cogarius. Nicolas is an entrepreneur passionate about Blockchain and how it could change the way we engage with each other. At Cogarius, they believe that innovation is about leveraging hidden values. Nicolas has a great passion for digital, technology and networking. Besides being the co-founder of Cogarius, he is the co-founder of the Meetup Blockchain-Ethereum group in Brussels. Special thanks to my brother Fouad who brought me in contact with Nicolas. I hope you will enjoy the show! For the 8th episode of “Digital Explained to my Mom”, I met Grégoire Pauty, Business innovation leader at Adobe. His mission is to help organizations to accelerate while innovating and competing at a global scale. Grégoire (I call him Greg) and I joined Adobe at almost the same time, 5 years ago. We share a number of passions such as: Entrepreneurship, food in Singapore, Finland and anything Digital. During the interview, we discussed his vision of technology and why he considers himself an Optimistic Technologist. As you may guess, Greg is not fan doomsday scenarios except when watching sci-fi movies. We also discussed the impact of drones as they allow us to see the world in a vertical way, the impact of AI in business and our transformation towards Augmented Humans. One of the cool customer cases we talked about it iflya380.com, a website created by Airbus to allow all fans of the A380 to book tickets on this iconic plane. For the 7th episode of “Digital Explained to my Mom”, I met Grégory Pouy, a globally recognized blogger, speaker, evangelist, consultant and podcaster on Vlan – a podcast that analyses the evolution of the society in the age of the industrial revolution. I heard about Grégory via one of my colleague, Olivier Binisti. After hearing the first episode, I was completely hooked. With more than 100k subscribers, his podcast is a reference in business podcasts in France. His podcast goes beyond digital marketing and aims at discussing key social trends and how they impact the work of brands. As the founder of LaMercatique, he specialized in marketing strategy and social media in the beauty and luxury sectors. Clients includes both start-ups and global brands such as l’Oréal, Clarins, Estee Lauder, Tag Heuer, Veuve Clicquot, Calvin Klein or Carrefour and La Banque Postale. 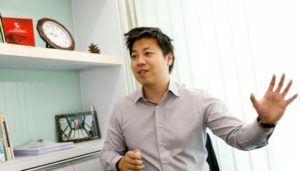 Prior becoming an entrepreneur, he gathered a precious experience in both brands (6 years – mostly in the Telco) and agencies (Vanksen and Sapient Razorfish). He co-created Plink, a podcast studio for brands. He is also one of the founding Member of Arianee, a blockchain protocol dedicated to the luxury industry. But also about his vision around digital transformation, blockchain and how to bring purpose to your life. I really hope you’ll enjoy listening to the interview as mush as I enjoyed taking it. For the sixth episode of “Digital Explained to my Mom”, I have had the pleasure to interview the New-York based Jazzpreneur Marie Incontrera. 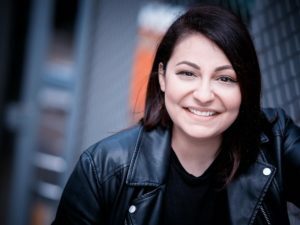 Besides her job as an author, she provides a number of consulting services such as social media and online branding services for individuals and small businesses; media bookings (podcasts, internet radio, traditional radio, and more); TEDx talk development and speaker booking outreach; and book launch services. Marie’s social media clients have included national best-selling business authors, medical professionals, wellness experts, a popular science-based gaming app, and more. Her speaker clients have booked TEDx conferences across the country (She has a 100% success rate getting her clients placed!) Her media clients have been booked on popular podcasts and radio stations such as The World’s Most Amazing People, Entrepreneur On Fire, and more. During the interview, we discussed how you can be a very talented musician in New-York and be broke. We also discussed her view on how the jazz masters have disrupted the music industry in the past century (Jazzpreneurs). We also discussed how studying what you love can lead you to the unexpected. For the fifth episode of “Digital explained to my Mom”, I have had the pleasure to meet Willem Corbijn, Managing Partner of IntoAction. 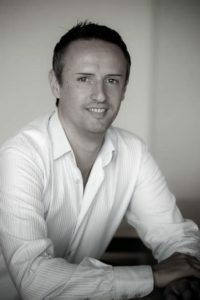 Willem is Managing Partner at IntoAction and branch director for their Utrecht office. 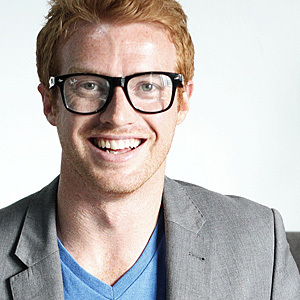 He has a background in business engineering and a passion for digital and working with people. He started his own company during college to step on to the digital train, and never stepped off after that. 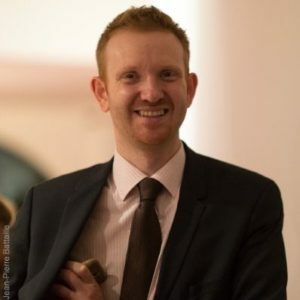 In his role at IntoAction he is responsible for business development and recruitment and combines this with strategic consultancy for their clients. IntoAction solves digital innovation topics for large international companies such as Philips, AkzoNobel, Dorel, FrieslandCampina and Rabobank in the areas of Marketing, Sales and Service. They play a role in both Digital Transformation and Digital Operations. I met Willem during an Adobe Summit 4 years ago, where he was presenting a session together with Philips on Digital Optimization and the Scale of Happiness. During the interview, we have discussed the IntoAction approach, how to align people, process, information and technology. But we also discussed how a Bob Ross approach can be beneficial in optimization programmes. PS: IntoAction is growing and looking for enthusiastic people to join the team. Check their website! For the fourth episode of Digital Explained to my Mom, I have had the pleasure to interview François Laxalt, Senior Director of Product Marketing for Tinyclues. He is an accomplished senior marketing executive with 17 years in the marketing software industry (at companies such as Tinyclues, Neolane-Adobe, Datadistilleries and SAS 5 years). Tinyclues is one of the leading players in the French Tech. They enable large B2C companies to plan intelligent marketing campaigns, both customer-centric and aligned with their business goals. It uses a deep learning technology to offer a unique new AI-first experience, where they can directly apply their campaign ideas and goals, and in a few minutes develop the best course of action. Besides his activities at Tinyclues, he is also a Partner at Axeleo the 1st all in one acceleration platform for Enterprise Technology startups and a Professor at Université Paris I. During the interview, we have discussed topics such as the role of AI in marketing and society, his passion for photography and living in Paris. In his own words, Robin is a humble kiwi. I personally consider him way too humble seen his achievements. In less than 7 years, they have established a great agency that is working with major Asian and global brands such as Qantas, Nikon, Revlon, NBN Australia, Singtel, Salesforce, Malaysia Airlines and Audi. During the interview, we have discussed how to keep empathy as a cornerstone of your business while you are growing it. But we also discussed why Robin wants his team to be “unicorns”. We also talked about how investing in learning technology can change people’s lives. I have had the pleasure to interview Eylard Wurpel, former Group CMO for the @Leisure Group, one the leading vacation rental companies in Europe, active in all segments of our industry: from full service providers Belvilla and DanCenter to booking platform Casamundo and the online marketplace Traum-Ferienwohnungen. Eylard Wurpel has extensive international experience, having worked both on the client and agency side. Eylard loves the challenges of ecommerce, data-driven marketing and customer centricity and worked for Yahoo! and was Managing Director of search engine marketing agency ClearSense. On the client side he has worked for albelli and Belvilla. Eylard is married, has two daughters and holds an MBA from Kellogg School of Management. Eylard is a customer centric, results driven senior business leader with a strong strategic track record. Eylard is recognized by his peers as an energetic, natural leader who excels in building effective and successful teams. During the interview, we have discussed his vision on marketing and the importance of talking with customers and backing these conversations with analytics data. We also touched on topics such as education, innovation, Elon Musk and free Wi-Fi. I hope you’ll enjoy as much as I enjoyed the interview. I have had the pleasure to interview Pascal Ly. Pascal is the General Manager of Lion City Rentals, which is part of Uber in Singapore. 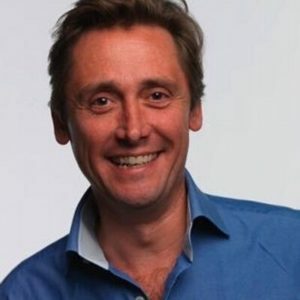 Pascal started his career as a Fintech entrepreneur and over the last 18 years bult experience spanning US, Europe and APAC with broad industry knowledge and exposure in Technology, FSI, Media, Public Sector, Government, Energy, Education and FMCG. Experienced in both SMEs and Fortune 500 MNCs. He has also held regional leadership roles in Schneider Electric and Salesforce. In addition, he acquired consulting experience with strong digital background back in France with 10 years career there with renowned consulting firms such as Capgemini and Weave. He graduated from EDHEC Business School with a Master’s degree in Management.